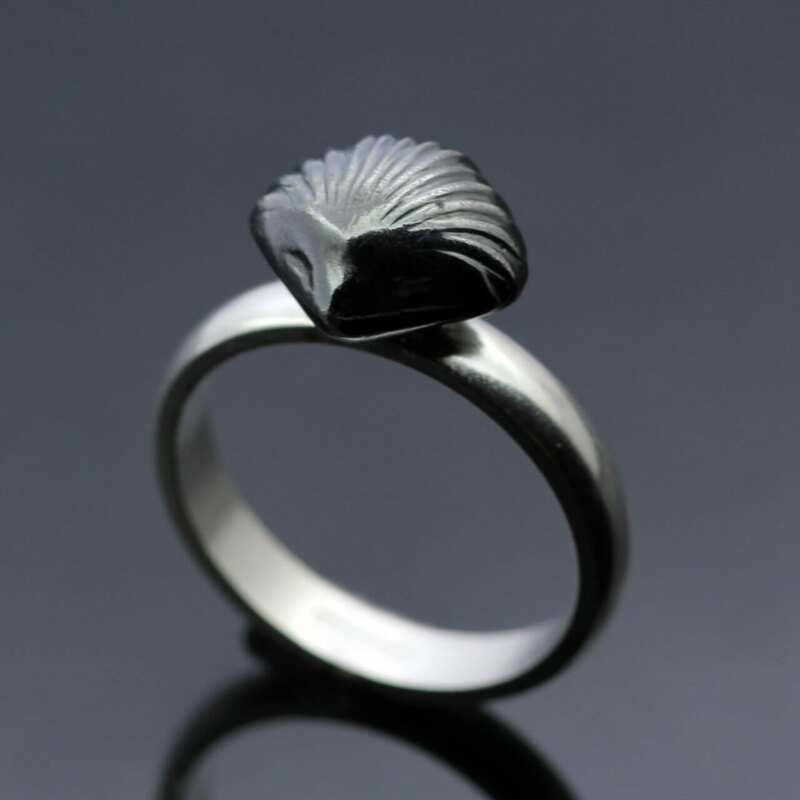 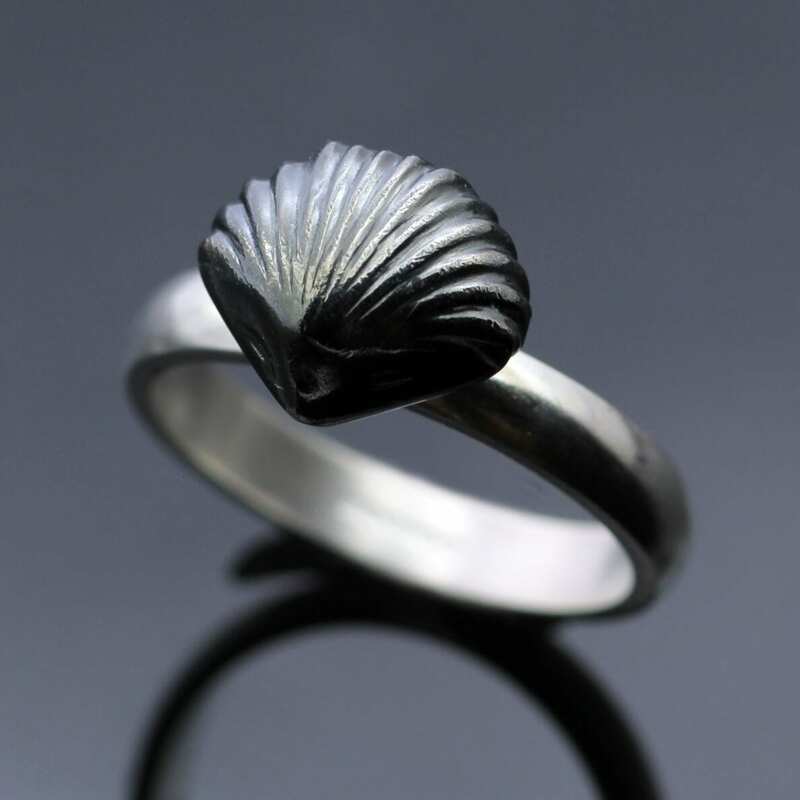 Using a found clam fossil, discovered by Julian on a nearby beach and carefully casting this piece to create a beautiful 3-D shell creation, made from solid Silver which has been delicately oxidised to create a darker surface to the polished silver and mounted on a solid Sterling Silver handmade ring to create this elegant design. 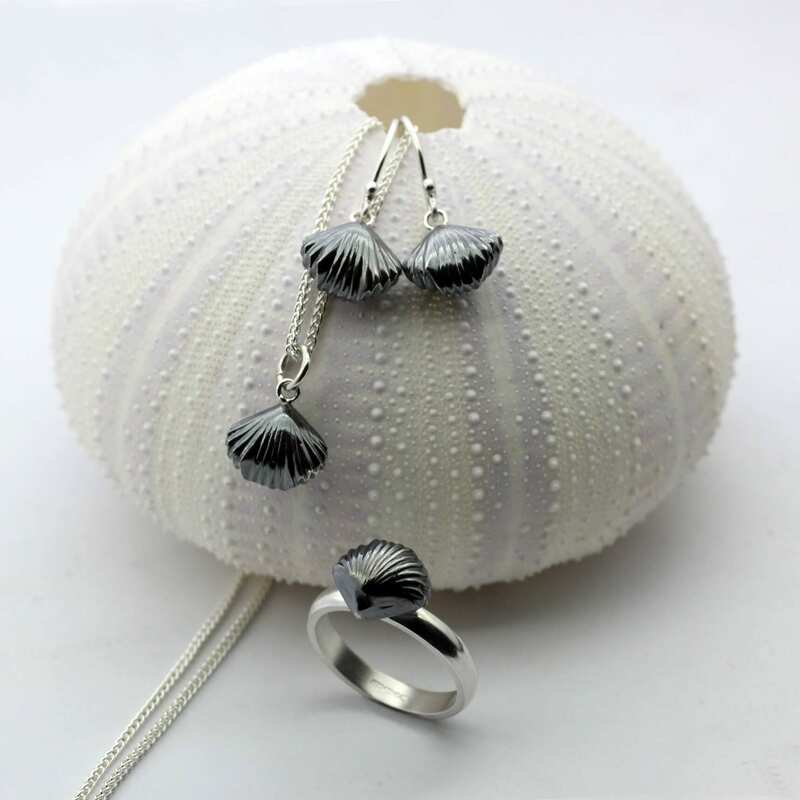 This lovely hand-crafted ring can also be purchased as part of a set with matching pendants & earrings also available to buy online through our website. 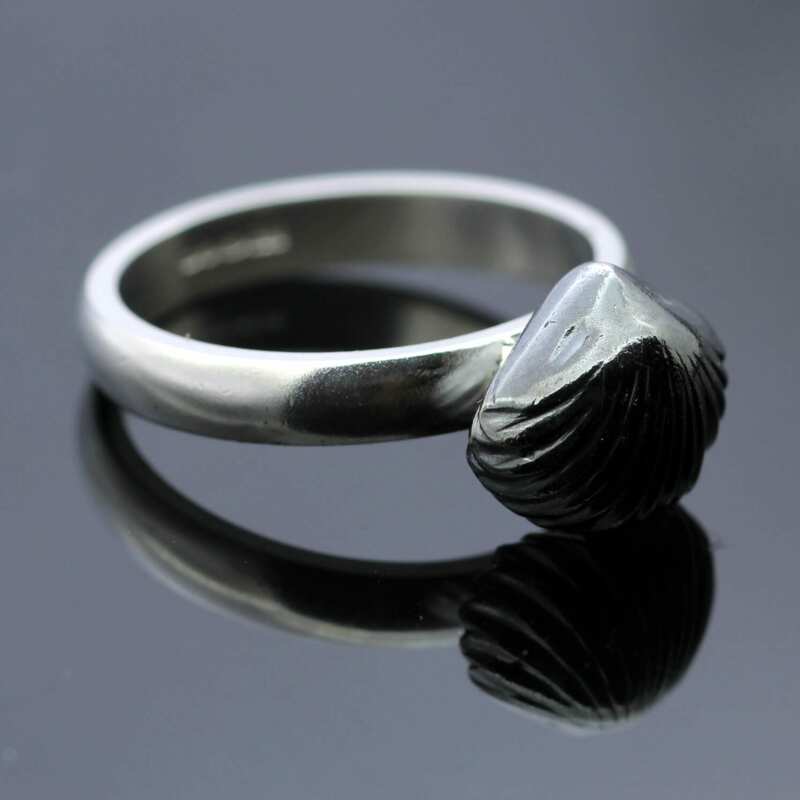 Every ring we make is hand-crafted just for you; please add a ring size or measurement to your checkout information, alternatively you can contact us directly for details on ring sizing options.